Parking.com offers discount NYC parking for all performances at The Duke on 42nd Street. Refer to the map for more information on nearby parking. Reserved parking and discount coupons are available for select locations. The Duke on 42nd Street is an intimate, flexible, black-box theater located in the heart of Times Square. 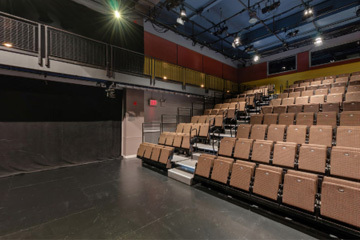 The theater is used for presenting works by domestic and international nonprofit and commercial organizations. For more information on upcoming performances at The Duke on 42nd Street, visit the official website.